The rap king of Queens is coming home, and he's bringing chicken and waffles. New York legend Nas has been back in town to work on his hotly-anticipated new album, but music isn't the only thing on his mind. In recent years, the 44-year-old Illmatic rapper has kept busy building up a diverse business empire that includes the Mass Appeal label, a collaboration with Baz Luhrmann for Netflix's The Get Down, the Vegas-based shoe store 12AM:RUN, a clothing line called HSTRY, and last but not least, an acclaimed soul-food restaurant chain. Known for its signature chicken and waffles, Sweet Chick has become a buzzy see-and-be-seen destination with two locations in NYC — in the Williamsburg and Lower East Side neighborhoods — along with one in Los Angeles that opened in 2016 with an assist from YG and Schoolboy Q, no less. Kendrick Lamar, Cameron Diaz, and Mariah Carey are among the growing group of A-listers that have since been spotted dining in, and the empire is still growing. 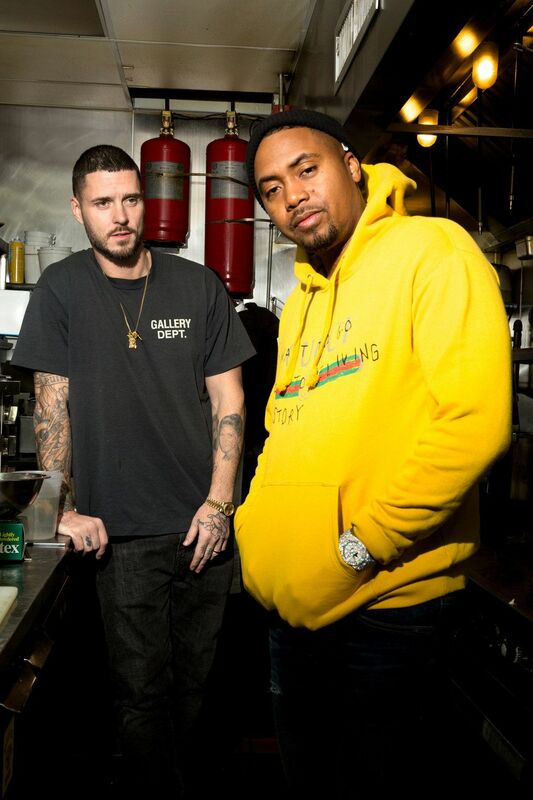 In early April, the restaurant's fourth and newest location will open its doors in Long Island City, marking Nas' first foray in his home borough. "Ever since I got involved with Sweet Chick, people from Queens have been wanting to know what's up," explains the rapper-turned-entrepreneur. "Now we're opening up Sweet Chick Queens, Long Island City, Vernon Boulevard. I grew up in Long Island City, on Vernon Boulevard. The restaurant is a few blocks down from where I grew up, so that means everything." He adds, "You can't always do it everywhere else. You gotta bring it home. I hope that it encourages young people with their entrepreneurship ideas, that people from the community come back and mix it up with everybody." Nas' partner in the venture, John Seymour, is a fellow New York native who says he "grew up just across the river" from the rapper's home in Queens. The 39-year-old restaurateur, whose father ran an old-school Irish bar, opened the Williamsburg flagship in 2013 after discovering the New York City origin story of chicken and waffles. And while he had no connections in music at the time, Seymour says he knew he wanted music to be part of Sweet Chick's DNA from day one, even making a "hundred phone calls" to get Raekwon the Chef to perform for its epic first anniversary party. But it wasn't until a year later, as he was preparing to open a second location, that he was introduced to Nas — who he admits was his "favorite rapper of all time" — by Mass Appeal CEO Peter Bittenbender. "[Peter] was like, 'I think this is something that Nas would be interested in.' And I was just like, 'What? Nah, whatever, cool,'" says Seymour. "Next thing I know, I'm on a flight to South by Southwest. I went down there, chopped it up with him, and then we're eating dinner at Sweet Chick one night. I go to a show with him. He jumps on state with Run the Jewels. After dinner, then we go to my crib to watch NBA playoffs. And that's how it all started." While the celebrity restaurateur — see Justin Timberlake and Robert De Niro — is nothing new, Nas' involvement in Sweet Chick goes deeper, tapping into music history and hometown pride. As the rapper explains, the restaurant's hallmark dish, fried chicken and waffles, traces its origins not to the American South, as commonly believed, but to the African-American jazz clubs of New York's Harlem. "Years ago in New York City, the nightlife in Harlem alone would go to the wee hours of the morning," Nas says. "People wanted to enjoy fried chicken, but it's also morning time. It's time for breakfast. Somehow those dishes wound up being the same dish. A lot of entertainers wouldn't want anything but chicken to eat at night, and then waffles in the morning. It stuck. You had lots of places in Harlem like Wells Chicken and Waffles, legendary places where your Duke Ellington's and your Louis Armstrong's, your greats of the Harlem Renaissance, would dine; it's always been a New York thing." Nas, born Nasir Bin Olu Dara Jones, also grew up with jazz in his blood. His father, accomplished jazz and African music artist Olu Dara, even appeared on Illmatic along with several subsequent tracks over the years. Now, Nas is paying homage to his father, and New York's musical legacy, with a jazz-themed private dining room at Sweet Chick Queens. He cracks a smile remembering his father's reaction to the news. "I told him about it. You know, my pop is one of them cool guys. He was just like, 'You know, that's all right.'" says Nas, adding that his 8-year-old son Knight, will have his own ice cream sundae on the menu. "It's called the Sundae Knight Special. We incorporate things from our personal lives into everything. We make it real homey — make it real down home." Naturally, down-home cooking is what Sweet Chick does best. The menu, which Seymour has dubbed "new American comfort food" fuses the best of Southern and soul cuisines with upmarket ingredients and creative remixes: Carolina-style pulled pork BBQ sandwiches are topped with crispy red onions and housemade pickles; shrimp and cheddar grits are upgraded with smoked paprika, bell pepper sauce, scallions, and a poached egg. Even classic chicken and waffles gets several inventive, mouthwatering riffs: fried chicken with General Tso's sauce and a rice-and-broccoli waffle, cordon-bleu chicken with a gruyere-thyme waffle, fried chicken parmesan with a tomato-mozzarella waffle. 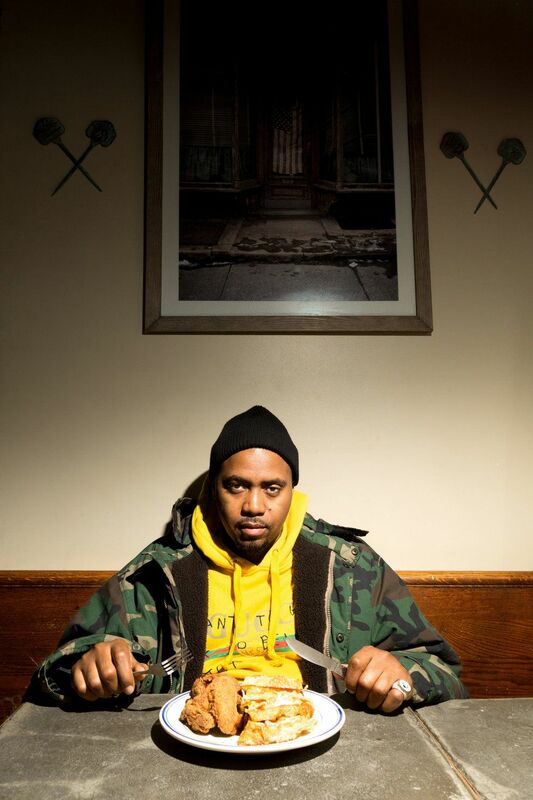 As for Nas' go-to order, he's got a few, and recommends opting for the dealer's (chef's) choice. "One of them is the Buffalo chicken with the carrot-celery waffle and blue cheese situation. It's amazing," he says. "And the mac n' cheese. But I also like the specials. The specials always switch up. You can get anything: sometimes beef short rib, sometimes some kind of risotto. Whatever the chefs feelin' like doing for the specials." While Sweet Chick's food alone warrants repeat visits, the restaurant stands out in the industry for its powerful ties to music, bridging the space between two worlds with regular appearances and collaborations by contemporary hip-hop heavyweights. "The way we bring music and Sweet Chick together is performances, live performances," says Nas. "Rakhim, Mobb Deep, the list goes on. And also, the music that you hear in the establishments. You can hear your samples of all the hip-hop hits. That's part of the playlist. West Coast, South, East Coast. You hear that in each one of the stores and it gives you that good feeling, that good vibe." And beyond a veritable list of admittedly killer live gigs, the Sweet Chick team has created a visionary, versatile brand in a broader cultural sense, willing to join forces with personalities and brands who share their passion. Such collaborations have included a chicken-and-waffle-inspired sneaker collab with FILA, a special waffle and ice cream with New York ice cream parlor Oddfellow's, and a partnership with the Tupac estate to bring to life the "Powamekka Cafe" — a restaurant concept that the late rap genius had sketched on a piece of paper before his passing. That tribute took the form of a pop-up hosted at Sweet Chick's Lower East Side location, actualizing 'Pac's vision with childhood photos, quotes and images of social activists like MLK and Malcolm X, and dishes like red beans and rice. Though Sweet Chick's projects are increasingly ambitious, it's the professional chemistry and mutual respect shared between Nas and Seymour that has allowed and will continue allowing Sweet Chick to push the envelope on what a restaurant should be. And as Seymour points out, Nas' hands-on mentality has been instrumental in keeping that momentum going. "The best part of working with Nas is that it really has become just a friendship. You can get a celebrity partner and never see that celebrity, or that celebrity doesn't necessarily care about the brand," says Seymour. "He cares about the brand. He's invested in the brand. In the early days, we looked around and we saw everybody from every background, every gender, anything you could think of. People were enjoying themselves together. To me, it was magic. I think Nas saw that early too. He's a true artist." Nas admits that he's a busy man, and that the restaurant industry presents a unique set of challenges, even for a hip-hop legend. "What I've found in the restaurant business is you can't play any games," he explains. "You can't mess up. You can't leave no stone unturned. You gotta make sure that you bring comfort to people. I know that's the way I like to be treated." 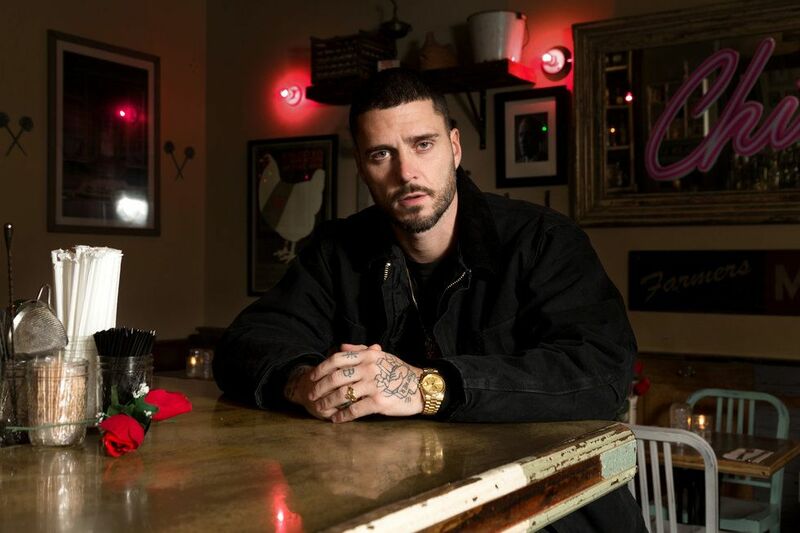 But if Sweet Chick's growing success is any indicator, Nas' aptitude for connecting with listeners through his music has translated seamlessly to the restaurant's ability to offer happiness through good food and better vibes. And with the Queens location, the rapper will not only return to his roots, but also bring those roots onto a national, if not global, stage. "It's like there's no limit to the reach that Sweet Chick has," Nas asserts. "You might walk in any Sweet Chick and see one of your favorite artists there, or one of your favorite actors, athletes, or whatever. A lot of people stop by the place and have a good time." He concludes, "I think the thing is that we really plant our feet into the soil of New York really firm, and at that point, we can go everywhere. We should have Sweet Chick's everywhere in the world, taking care of people, giving them a good experience, good comfort food, all over the globe."